Item # 319160 Stash Points: 8,995 (?) This is the number of points you get in The Zumiez Stash for purchasing this item. Stash points are redeemable for exclusive rewards only available to Zumiez Stash members. To redeem your points check out the rewards catalog on thestash.zumiez.com. 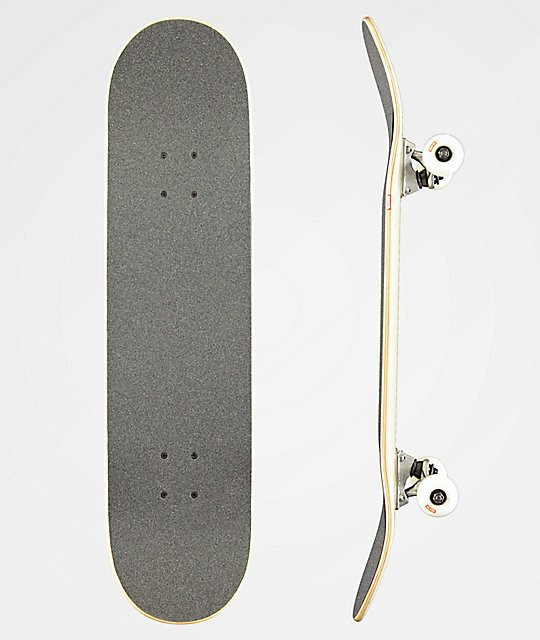 Get an ideal starting point with all the premium components to take your skating to the next level with the Globe Goodstock 8.0" Skateboard Complete. Tensor trucks offer a stable ride on stalls and at speed, while the abec 7 bearings provide excellent acceleration and carrying speed. 52mm wheels with a 99a durometer rating ensure great acceleration as well while controllable grip and reverts. Finished off with a mellow shaped deck with slight concave and wide kick tails, this board is made for stable stalls and a predictable feel over-all. 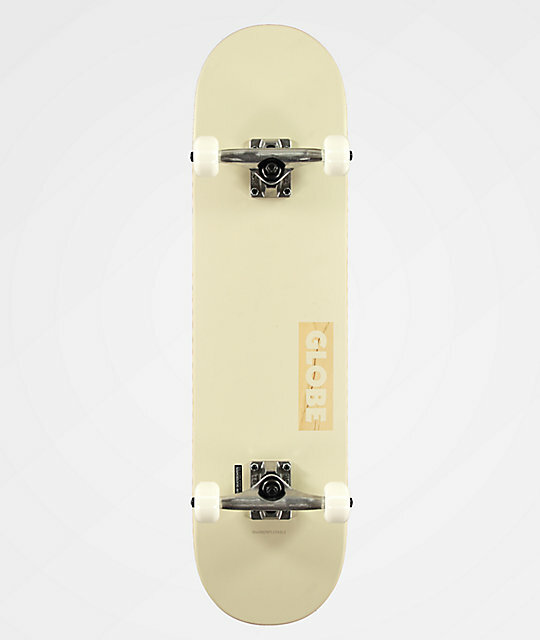 Goodstock 8.0" Skateboard Complete from Globe.